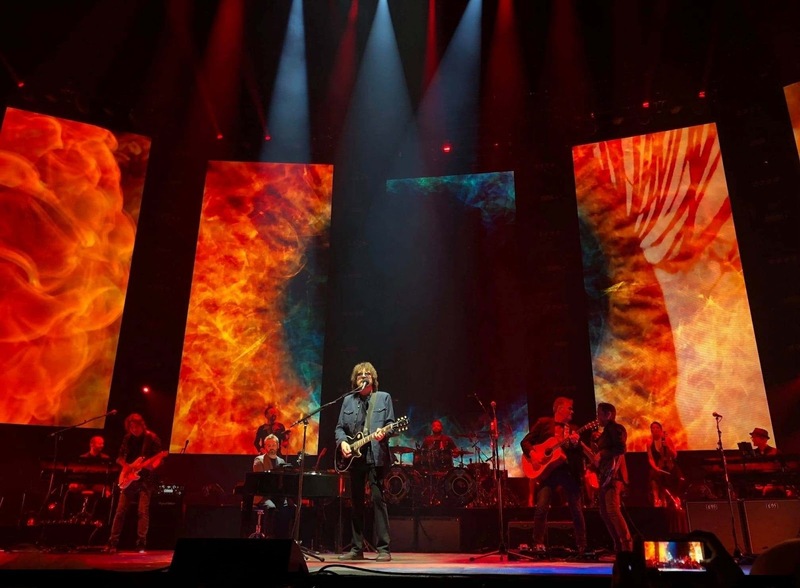 Without a doubt, the positive reaction of concertgoers and the media alike is that the dozen or so dates just completed by Jeff Lynne's ELO in the United States and "Across The Border" in Canada is a testimony to a series of gigs that will live long in the memory of those who were there and, indeed, looked forward to them for the best part of 35 years. Whether they be personal friends or the very many members of the various ELO/Jeff Lynne Facebook fan groups, everyone has enthused about seeing the Electric Light Orchestra maestro stroll through a portion of his songbook aided and abetted by Musical Director Mike Stevens and a now familiar, flawless band that did every song justice in the live environment. In terms of the songs performed on the North American leg of this tour, the set list settled very quickly into a nineteen (19) song roster although Oakland were treated to twenty due to the initial inclusion of "Xanadu", which was only given one other outing at Toronto in place of "Rockaria!" due to the absence of vocalist Melanie Lewis-McDonald at that gig. The full span of ELO was covered from "10538 Overture" to "When I Was A Boy" with "Handle With Care" included again for a nice Wilburys cameo. With the next phase of the tour beckoning, it will be interesting to see if there are changes to the set list for fans on this side of the pond. On a personal level (and this is not a criticism), Yours Truly KJS and elobeatlesforever (elobf) would like to see the likes of "Hold On Tight" or "Rock 'n' Roll Is King" or even "Calling America" and/or a song from the promised new album in there if not the return of "Ma Ma Ma Belle" but in all honesty we should all just be content to see Jeff and his band touring and delivering these great songs to ardent and casual fans alike. With both Jeff Lynne and co-ELO founder Roy Wood now gigging fairly regularly in the UK, we should appreciate them and enjoy the experience. What we also know is that the current ELO formula works and what has thrilled American and Canadian audiences alike will be here soon! 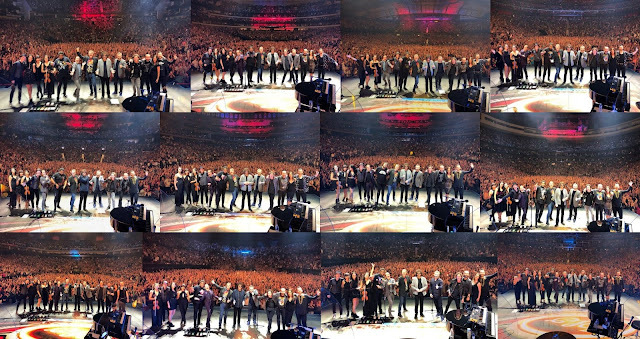 elobeatlesforever (elobf) recommends Jeff Lynne's ELO Live 2018 to those enlightened folks who love Electric Light Orchestra (ELO), Jeff Lynne, Roy Wood, 'Brum Beat', The Idle Race, The Traveling Wilburys, The Move, The Beatles and related artistes. 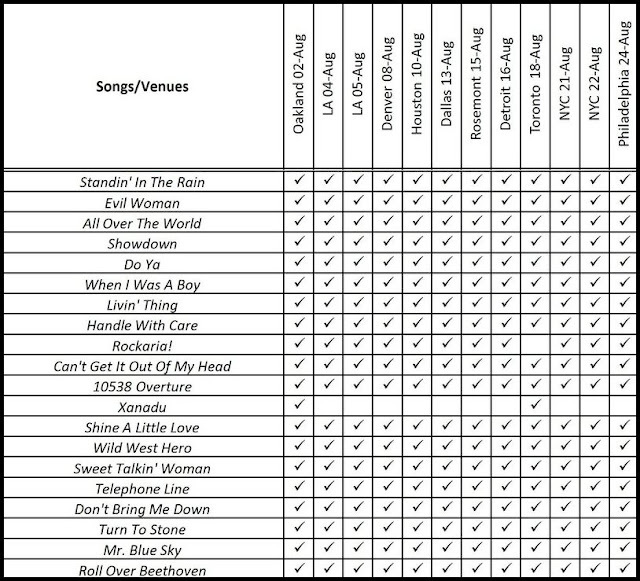 First time that I saw the chart of tunes performed. Very cool. Somehow I had forgotten about 'Hold On Tight' … not being played. That was a big hit here in the States. 'Ma Ma Ma Belle' would have been nice to hear as well. I'm more of a 'So Serious' guy - than a 'Calling America' guy. But … 'Calling America' was a hit … 'So Serious' … not. Thanks for the overview - KJS. The Philly show - was life changing for me. Thank you for this good article and Setlist for the different Cities. We all have our preferences like Strange Magic or Fire on High...So many great songs in Jeff Lynne's Catalogue but in the end we were so lucky to see our Music God once again. Jeff Lynne's ELO Concert in Toronto was the very best concert i have ever seen. What a fantastic Concert on all levels! My son and I drove nine hours to be able to make the Chicago concert. $350 apiece for tickets. Rental car. Food. It was the first time for him to see ELO perform live. Second time for me. We had the time of a lifetime. My son put it best when he said it would be worth it to pay twice as much and drive twice as far to do it all over again. And I agree. We had hoped to meet some fellow fans from social media there but couldn't make it happen. In a way though, it did happen. We were surrounded by thousands of fans of the greatest musical talent of our time. And we thank God for the time we spent. And thank you KJS for all you do ! I wonder how long JL is going to keep touring. I personally would love to see ELO play the full "Eldorado" album, followed by (after the break) the full "Time" album, even as just a one-off gig. And then see it issued as a blue vinyl double live album...!